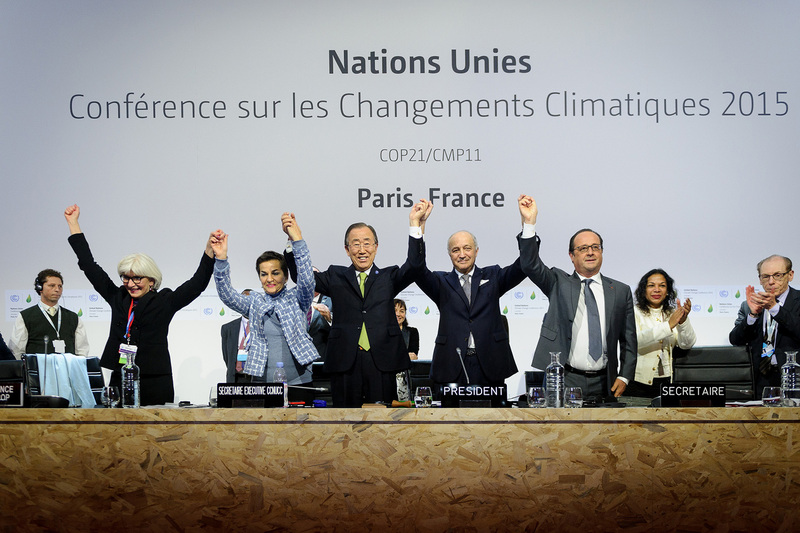 Policymakers involved in climate change negotiations are key users of climate science. It is therefore vital to understand how to communicate scientific information most effectively to this group1. We tested how a unique sample of policymakers and negotiators at the Paris COP21 conference update their beliefs on year 2100 global mean temperature increases in response to a statistical summary of climate models’ forecasts. We randomized the way information was provided across participants using three different formats similar to those used in Intergovernmental Panel on Climate Change reports.